Just because 2018 is in the books doesn’t mean that your tax bill is locked in. Most tax tips focus on what you can do before midnight on December 31 to boost your refund or lower your tax bill. But even after January 1, there are some potential ways to help you save on taxes. 1. Lower your income through an IRA. Even if you don’t have one now, you can still start an IRA and contribute before the filing deadline to reduce your taxable income. If you’re covered by a retirement plan at work, the IRS has some restrictions for deducting traditional IRA contributions, so be sure to check out the IRS website to see if you can qualify for a full or partial deduction. You can also contribute to a Roth IRA until April 15, but because the tax treatment is different, you won’t be able to deduct the contribution. 2. Take your RMD (if 70 ½ or older). Several types of retirement plans and individual retirement accounts are subject to required minimum distributions. Tax pros call these RMDs. If you turned 70½ in 2018, you’ll probably need to start taking RMDs from your account. You can also direct the RMD to a qualified charity through a qualified charitable distribution. 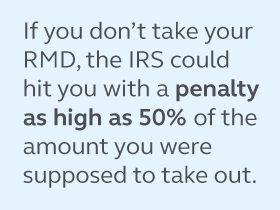 This would count towards your RMD but wouldn’t be treated as taxable income. Once you turn 70½ or are required to start taking an RMD, the size of your RMD changes every year. So check the IRS website to make sure you’re withdrawing the appropriate percentage of your balance. 3. File for an extension, if needed. The IRS filing deadline for your 2018 taxes is April 15, 2019. To avoid penalties and interest, file before then. If you’re mailing in your tax return, it’s considered on time if the envelope is addressed, postmarked, and in the mailbox by April 15. If it’s getting down to the wire, submitting electronically can help save time. If you need more time, you can file for an extension before April 15. If you live outside the United States, you might get some extra time. The IRS has more details on getting an extension. Keep in mind that filing an extension just delays when you have to submit your return. If you owe taxes, you still have to pay by April 15, or you could get hit with penalties and interest. Talk to a tax professional about strategies that will fit your unique situation. Call 800-986-3343 (option 2) to increase contributions to your Principal IRA. Don’t have an IRA, but think it might help? See what a Principal IRA can offer.